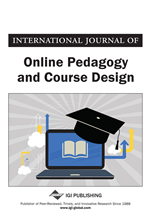 This study provides a preliminary analysis of teacher candidates' attitudes toward information technology as they predict receptivity to an online resource-based learning. The participants of the current questionnaire-based study were randomly selected teacher candidates (N = 101) at an American Pacific island university. The questionnaire focused on the relationship between the candidates' levels of comfort with technology and the degrees to which they consider the Internet useful in doing coursework. Results from this study may guide teacher education programs, as they seek to optimize teacher candidates' receptivity to course-appropriate online resources. This is because these teachers will shape their own students' attitudes toward online learning environments, promoting their students' tendencies to access resources maintaining lifelong learning perspectives. Business processes now require the acquisition of information literacy skills to maintain a high quality of productivity and efficiency, and people need to learn for enhancing their own qualifications and bringing their skills up to date for a new line of work. In reality, “almost every facet of human life demands knowledge and skills of information and communication technology (ICT) … In this time and age, students cannot claim to be ignorant of the benefits of ICT competences and knowledge to their future prospects” (Osman & Alfred, 2014, p. 12). Thoughtful Learning Newsletter (2015), recognizes the 21st century skills as a set of abilities that people need to develop in order to succeed in the above stated knowledge age, and such skills are divided into the following categories: learning skills (critical thinking, creative thinking, and communicating); literacy skills (information literacy, media literacy, and technology literacy); and life skills (flexibility, productivity, social skills, and leadership). People also need the following sets of skills so that they can successfully negotiate the 21st century (McGrath, 2004): digital-age literacy (visual and information literacies, and multicultural literacy); inventive thinking (adaptability, creativity, and high-order thinking); effective communication (teaming and interactive communication); and high productivity (effective use of real-world tools and ability to produce high-quality products). In relation to the teaching and learning process, in particular, information literacies (identify what information is needed, locate resources, and evaluate the resources critically for a given need) are essentially similar to research techniques (thus find, retrieve, analyze, and use information). Hence, in addition to the traditional basic skills such as reading, writing, and arithmetic, information literacy skills are absolutely necessary for lifelong learning.